Color histogram is one of the most widely used visual feature representations the JPEG/MPEG compressed domains, the DC coefficients are used commonly to form the color histograms without fully decompressing the image or the video bit stream. In this paper, we address the issues arising from the adaptation of DC based color histograms to the arbitrarily shaped MPEG-4 video objects. 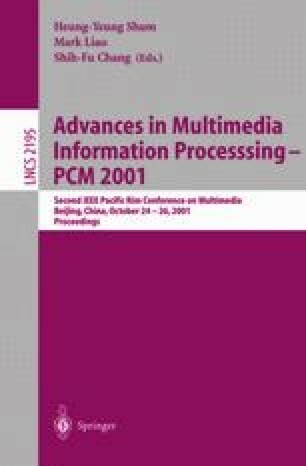 More specifically, we discuss the color space selection, quantization, and histogram computation with the consideration of the specific characteristics of the MPEG-4 video objects. We also propose a method for reducing the chroma keying artifacts that may occur at the boundaries of the objects. The experimental results show that great retrieval performance improvements are achieved by employing the proposed method in the presence of such artifacts.